Have you ever seen the movie Back to the Future 2? It’s fairly fantastic, but in case you’ve failed to watch the second greatest motion picture in the history of cinema (Back to the Future Part 1 being the greatest), here’s a quick recap. Doc Brown and Marty McFly travel to 2015 to stop Marty’s kids from doing something foolish that could alter the course of their life. Unfortunately, while Marty is able to stop them, he does something foolish himself. He purchases a Sports Almanac, a book that contains the results of every sporting event between 1950 and 2000. You need to suspend all disbelief while you watch the film, not because time travel is impossible (clearly it is) but rather because the Sports Almanac is so small there’s absolutely no way it could possibly contain every result of every major sporting event. It could barely hold a year’s worth of Major League Baseball statistics, but that’s a conversation for another day. Doc finds the Sports Almanac before the two are scheduled to return to 1985 and tosses it in the garbage. Unfortunately, Biff (the recurring villain throughout the series) finds the Almanac, discovers that Doc Brown built a time machine, and ultimately steals both. He travels back to 1955, gives the Almanac to his teenage self, and changes the future to one where Biff is filthy rich. Watching that film growing up, I always fantasized about getting my hands on a Sports Almanac. That dream never came to fruition, but we’re getting close. And we can thank the concept of Tipsters for that. Tipsters are people who predict the results of major sporting events, like football and horse racing. They aren’t always right (that would be impossible) but they generally have a fairly good success rate. In some cases, win rates hover above 58%, which is generally excellent. Anything below 53%, despite seeming OK, isn’t great. That’s because, for some sorts, you need to hit above 52.38%. Yup, it’s that specific. In NFL football betting, for example, you need to win 52.38% of your bets to simply break even. We’re not even talking about making a profit. We’re talking about walking away with exactly what you started with. The reason it hovers above 50% is because of house odds and juice that favors them. Once you find a win rate you like, we recommend you start to follow the Tipster to see how they perform week to week. Remember, someone who has had 7 of their last 10 bets come through might not be as impressive as someone who had 4 of their last 10 bets come through of the 7/10 Tipster had a sloppy previous 3 months. As soon as you’ve settled on one, you need to subscribe to their tip service. It actually costs money to get inside tips from Tipsters (you didn’t really think the advice was free, did you?) but with the right betting strategy, you could make the money back fairly quickly. Want to know more about the concept of Tipsters? We don’t blame you. Getting the right information on your side can make a big difference for any sports bettor. But what about the casino player? 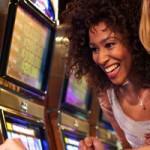 Is there such a thing as Tipsters for casino games? 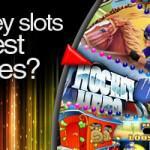 Unfortunately, casino games are complete random for the most part. Sure, there is some skill involved, but so-called experts claiming to know the secrets to beating the house at Roulette should be avoided. Instead, look for tips from reputable sites like this one. We’re like Tipsters, except our advice is totally free. 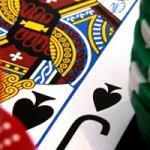 Here are some great tips to help you make more money at the tables. Playing Craps? Stay away from Big 6 or 8. This one is a sucker’s bet. By betting on Big 6 or 8, you’re basically handing the house a double-digit house edge. Instead, make Place bets on 6 or 8. You’ll be much better off. Playing Blackjack? Never take Insurance. It’s a sucker’s bet, plain and simple. By taking insurance, you’re handing the house free money. Sure, it might benefit you if the house actually has a Blackjack, but you’re more likely to lose that insurance bet and be further in the hole. Don’t bother. Playing War? Never go to war. Casino War is a blast, especially when you find yourself holding the same card as the house. It’s a lot of fun to go to war against the house, except for the fact that you’re actually giving money away. If you initially bet $10 and you decide to go to War, the house takes that $10 and asks you to place another $10 bet. You’ve now committed $20 to the bet, but the house has withheld $10 of it. If you win the bet, the house will give you $20, except half of that was actually yours. So while it looks like you got paid 2:1, you actually got pay 1:2. You bet $20, but the house only paid you $10. It’s a horrible move, unless you managed to hit the same card during the war round, in which case you get paid out more. Intrigued by these tips? Put them to the test at Prism Casino. While we don’t offer any sports betting opportunities, we do offer table games, and lots of sports-themed slots. And the best part? You can experience a success rate of 100%. At least it will feel like that when you end up keeping all your money. That’s because at Prism Casino you can play for free. All you need is an account (also free) to get started, so come play.